The Kingdom of Morocco in North Africa has long been a draw for tourists looking to visit Africa while still being able to explore an Islamic country. 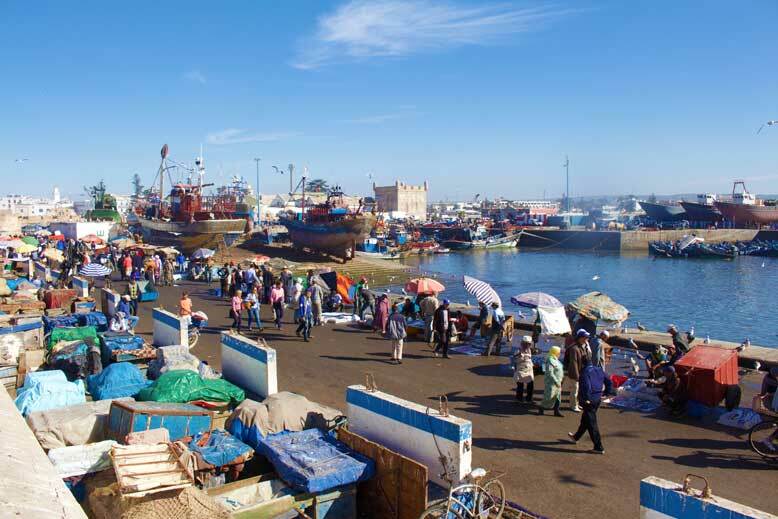 Morocco which is a constitutional monarchy is a moderate country neighbored by other North African countries that experienced some political turmoil when they deposed their long authoritarian governments and decided to embrace a western-styled democracy. Morocco on the other hand is much more stable compared to it’s neighbors and is currently enjoying a thriving tourism industry as it has been able to provide a safe environment for tourists to come and explore this beautiful and amazing country. We recently traveled to Morocco and had an absolutely great time. 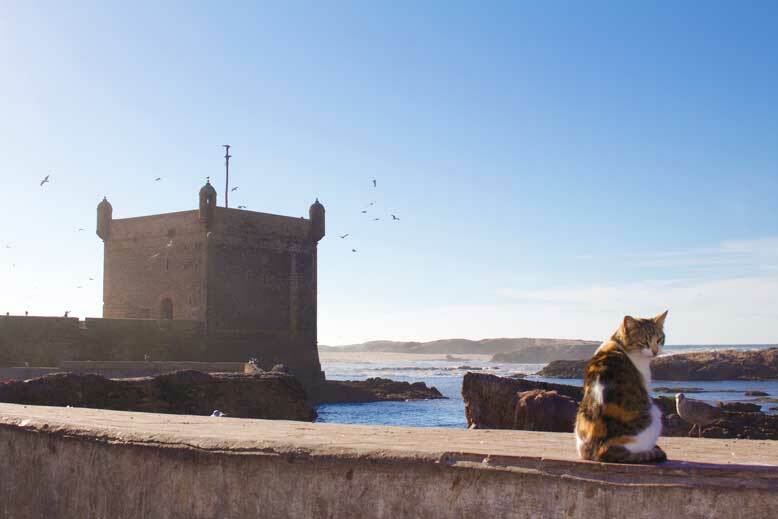 We have compiled a list of the 11 things you must do in Morocco to make your trip as incredible as ours was. Enjoy!!! Casablanca is the financial capital of Morocco; it is where most Moroccans go to achieve their own version of the “American Dream”. While the city is mostly suited to business travelers, spending a day or two here is a good idea for your travel itinerary. 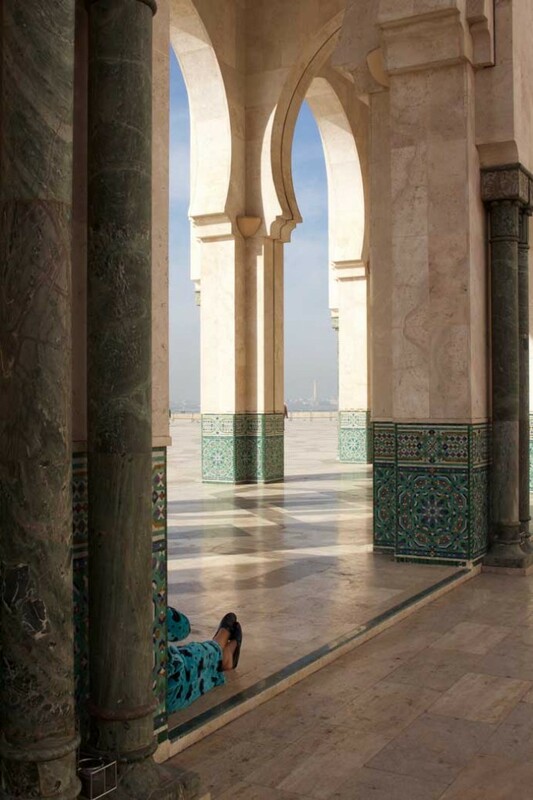 The Hassan II mosque however is a must visit in Casablanca, Morocco. It’s elegant structure intricately decorated with Islamic art and symbols makes it a sight to behold. 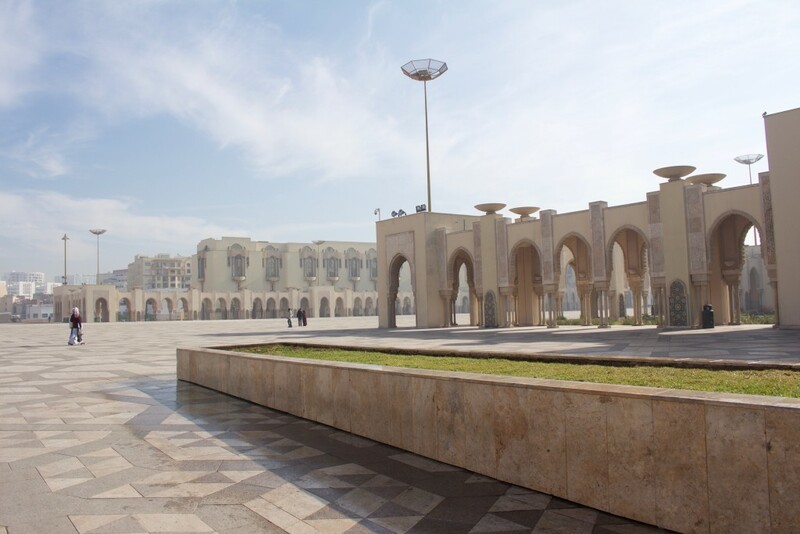 Avoid going on Fridays as most likely it will be closed to the public for “Friday Prayers”. 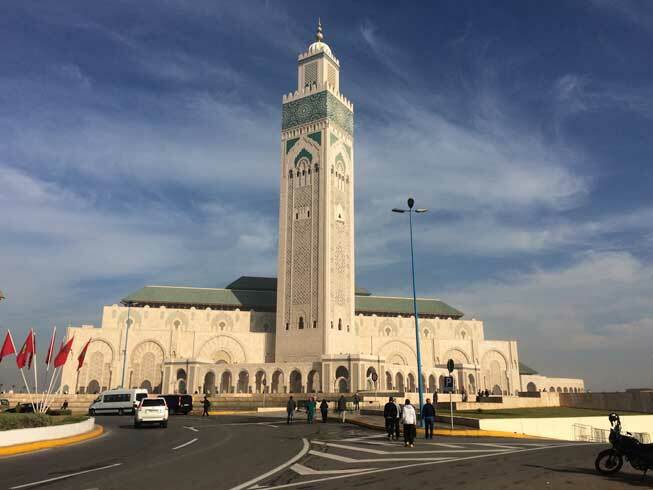 While In Casablanca, you can do other things like eat at Rick’s Café (Not the same one in “Casablanca” the Movie), La Scalla for Moroccan Tajines, also one can pay a visit to the Medina (Old Town), Bab Marrakech. 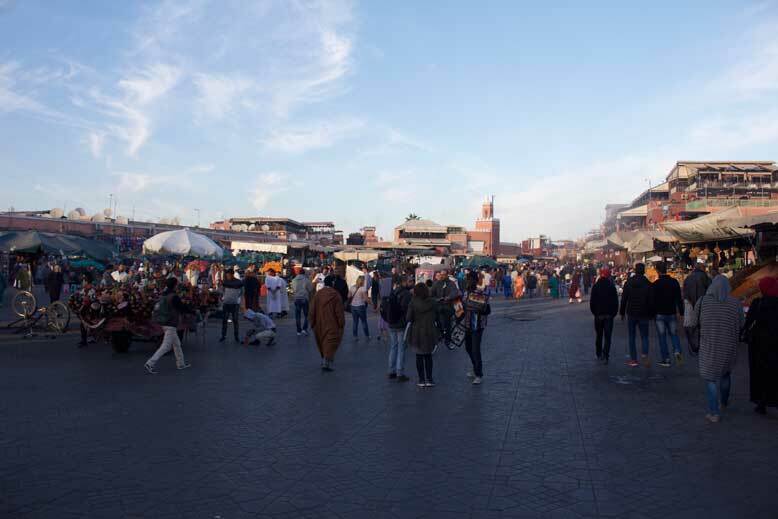 Marrakech with its bustling El fna square is geared more towards tourists and taking a tour of the Souks and Medina are definitely the main highlights of this city. 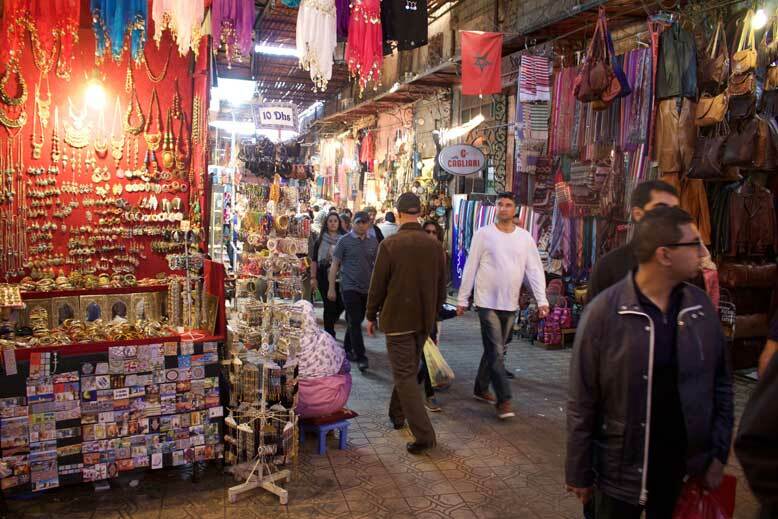 The Souks have everything from artisans to blacksmiths and tailors all clamoring to sell their goods to you. One must be good at bargaining to buy things from the Souks. A good rule of thumb is to divide whatever price you are presented with by a third and try as much as possible to hold your ground by not going much higher than your originally stated price. 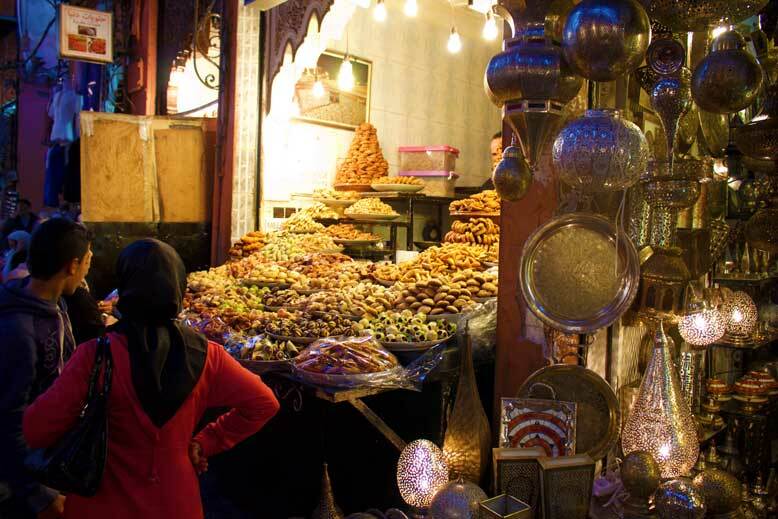 The Souks Have Everything From Spices To Leather And Jewelry For Sale. 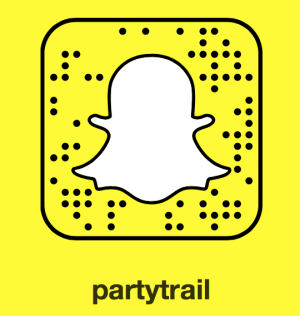 If you really want to see Marrakech, a good idea would be sign up for a walking tour of the city. 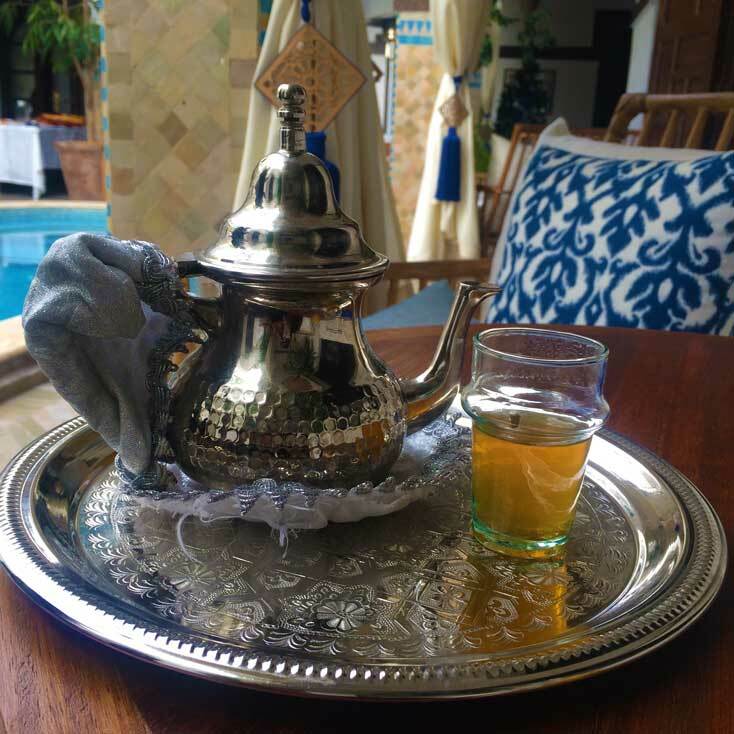 If you ever want to know what it is like to be treated like Moroccan royalty, then we would advice you spend at least a night in a Riad (A traditional Moroccan guest house). A Riad is a traditional guesthouse or Palace that will leave you wanting to be Moroccan royalty. Riad’s usually come with a garden or courtyard and a swimming pool or spa. 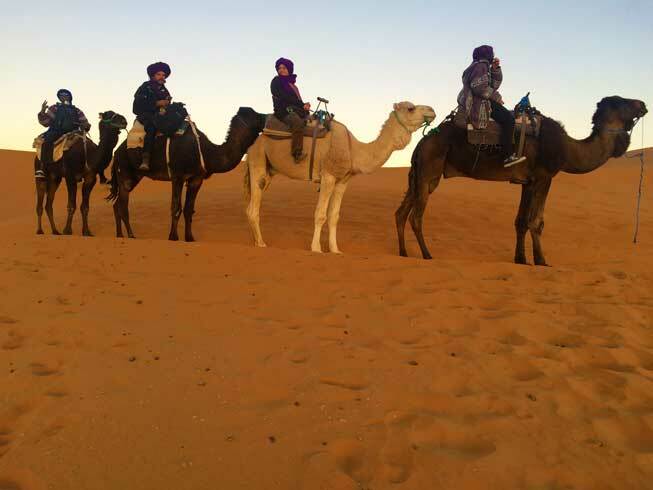 They are usually a great place to book tours to explore the city or go camel trekking in the desert. 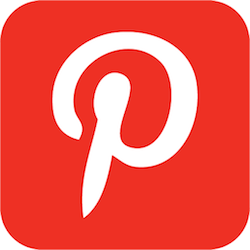 Several sites like booking.com are great for reserving a stay at one of these Riads. 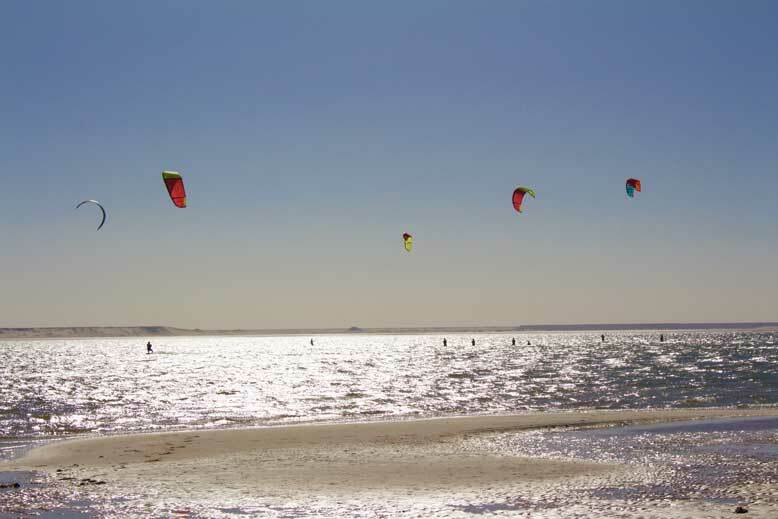 If you want to depart from just wandering through the Souks and enjoying Morocco’s amazing hospitality, then head over to the disputed territory of Dakhla in the Western Sahara where you can join mostly French speaking holiday makers for water sports like wind surfing, kite surfing or just plain surfing. 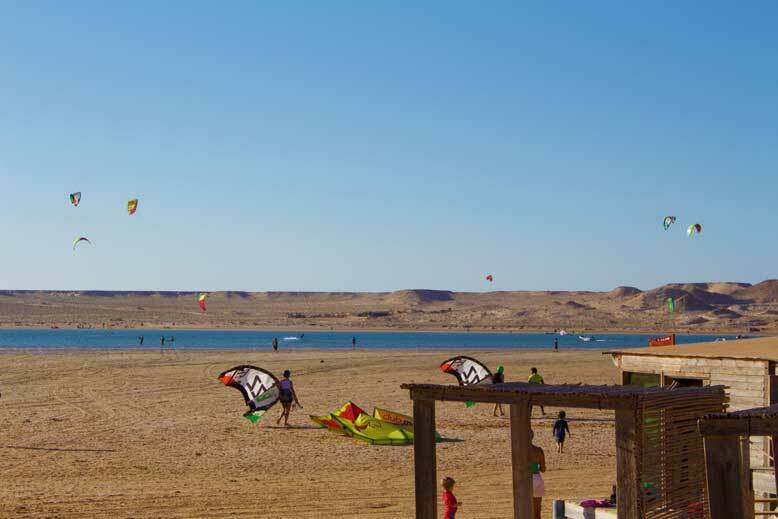 Desert resort companies like Dakhla attitude and Ocean Vagabond have packages that involve surf classes, yoga and tasty meals as part of your package while staying at their resort. 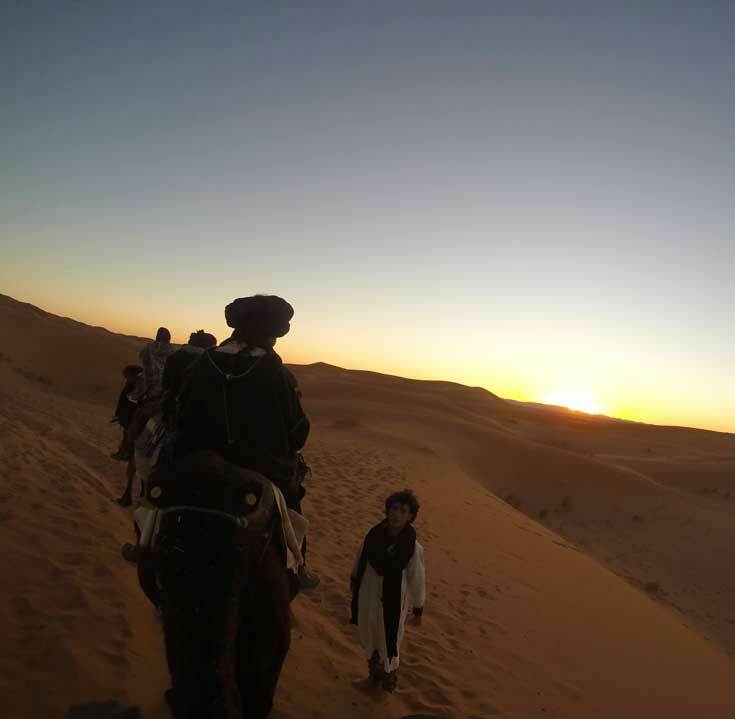 Morocco’s population consists of Arabs, Berbers and Tuaregs and if you want to know what it is like to live like a Berber, or Tuareg, then head over to the Sahara Desert in Merzouga for a Camel Trekking tour of the desert. Trekking lasts about 90 minutes until arrival at your tent. 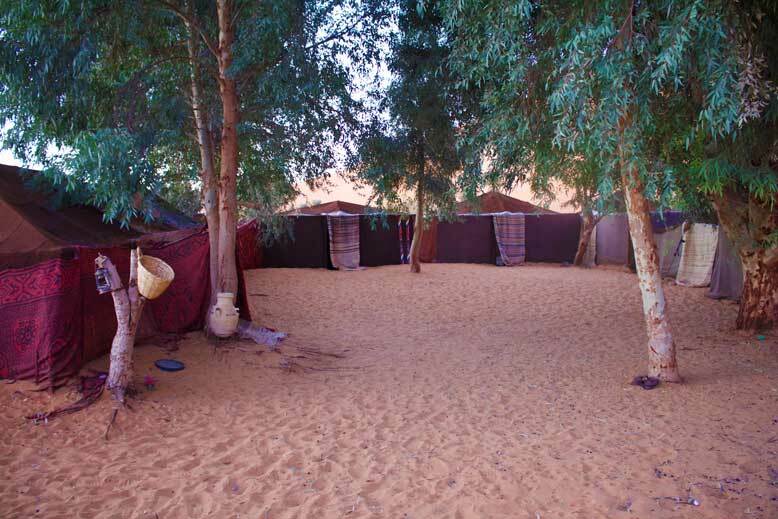 There are special tour packages that include a 90 minute trek of the desert to your campsite where you get to disconnect from modern life and spend a night in a tent. Essouria is a port city in the southern part of Morocco and is a much better option for shopping than Marrakech, i.e., if you prefer not to be hassled while walking through a Souk. Shopping In Essaouria Is A Lot More Laid Back. Also apart from the shopping, there are a ton of Seafood restaurants where you can choose to whet your palate. In France, they have the town of Bordeaux for wine, while California has Napa. 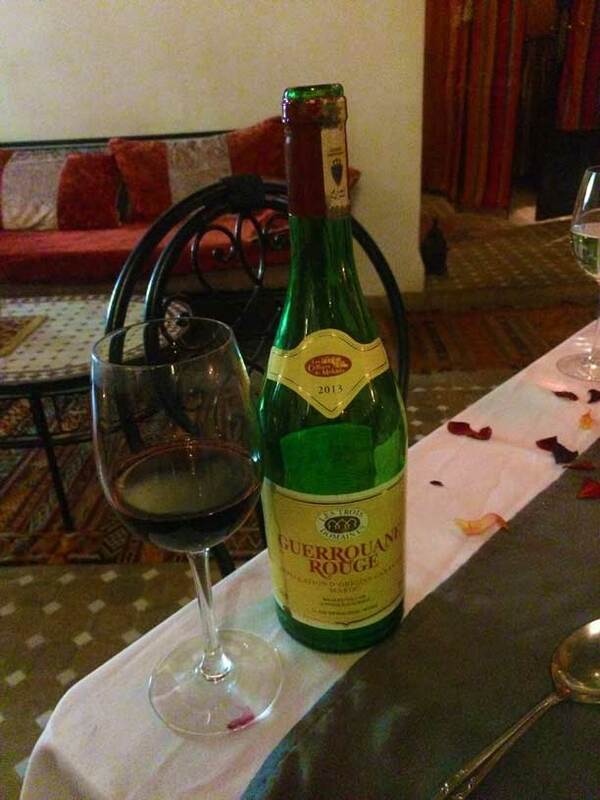 Most of Morocco’s wine is produced in the city of Meknes, so if you are a wine connoisseur and would like to test your knowledge of wine, heading up to Meknes might not be a bad idea. 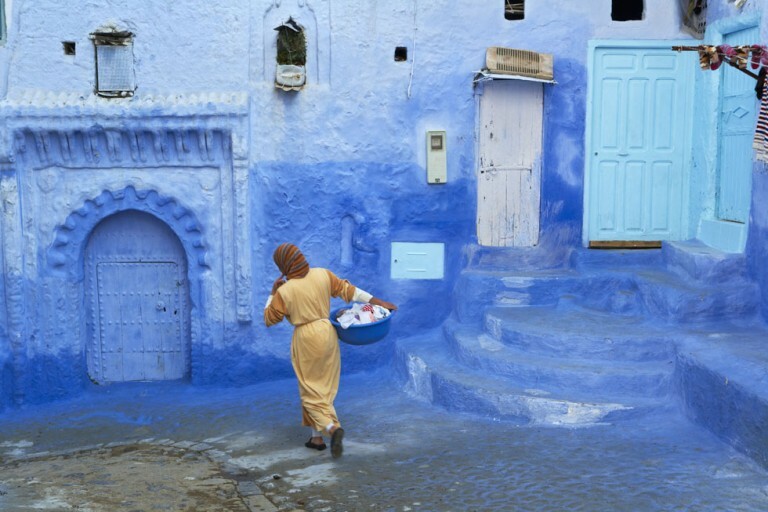 Morocco used to have a rather large Jewish population and to distinguish their city from other Moroccan cities they decided to paint it blue. While we did not get to visit, we gathered it is a sight to behold, and just like other cities, Chefchaouen comes with it’s own Souks and Medina. 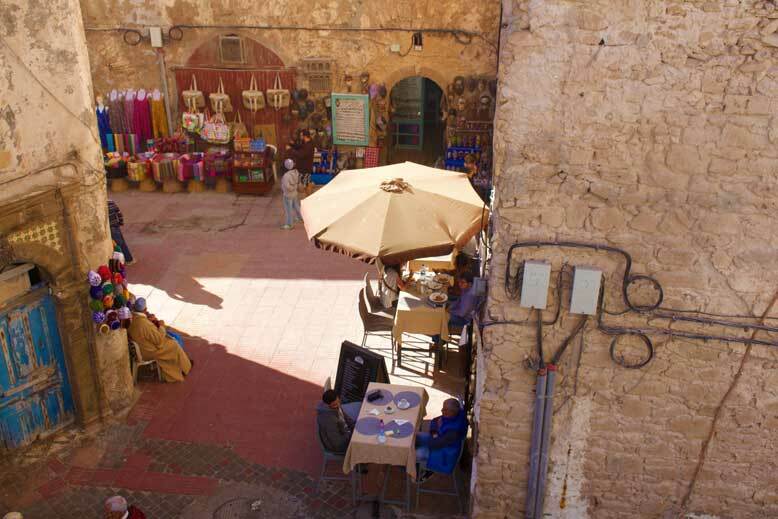 Fes is another city just east of Morocco’s capital Rabat and is really becoming a must visit city for anyone traveling to Morocco. With it’s white buildings, grand souks, and Medina, Fes is beginning to give Marrakech a run for it’s money in terms of Morocco’s most popular tourist city. A Serving Of Caramelized Lamb in Casablanca Morocco. Moroccan food is nothing short of amazing. 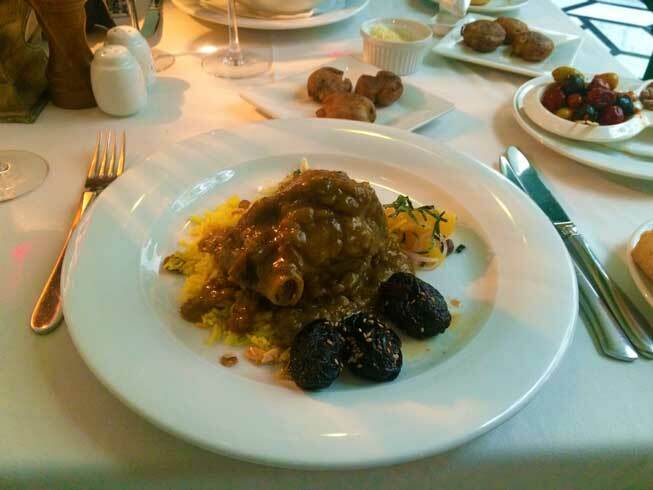 Most of the dishes we found comprised of lamb, rice, chicken, and Kebabs and were usually served as “Cous Cous” or “Tajine”. Most restaurants, or Riads serve these dishes well into the night so getting your hands on them won’t be a problem. We did gather that “Cous Cous” was the meal of choice for most Moroccans to eat after they have completed their Friday prayers. 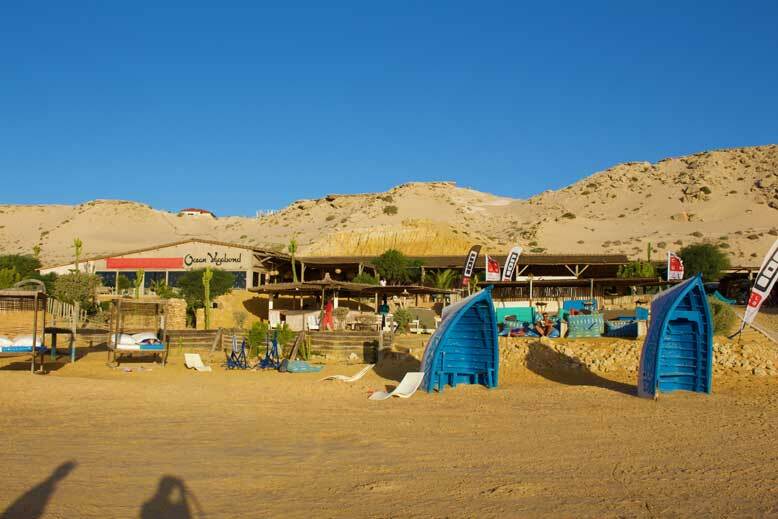 Agadir is a city in the south of Morocco renowned for it’s nightlife and from what we gather, it is usually packed with revelers from all over Morocco and Europe trying to relax and blow off some steam at this coastal city. In a time where so much focus on turmoil from Countries where Islam is a major source of worship, it was great to visit a country that shed so much positive light on the beauty of Africa and it’s Islamic traditions. Morocco’s neighbors continue to experience turmoil as at the time of this writing, we only hope they can look to Morocco for inspiration on how mix it’s islamic traditions with progressive and modern reforms.